Happy Spring everybody! Well…we’re not quite there yet and given the snowpack conditions across the state we should probably hope for a slow, methodical melt. My heart goes out to those across the upper Midwest who are struggling with water and flooding issues. I’m hopeful that you all, especially those in the Red River Valley, are able to escape any damage and stay safe during this white-knuckle time. After spending last week at the ICBA Convention in Nashville, I was reminded again that one of the very best parts of my job which is visiting with our members about what’s going on in their communities and at their banks. For a number of reasons, it feels like it’s been a long winter and I haven’t gotten to have as many of those visits as I’d like. Of course, the colder than normal weather plays a part in that. But more significantly, I’ve been cooped up these last three months in crowded, poorly ventilated hearing rooms at the Capitol seeing all the same people every day and most of them are either on the front end or back end of cold or flu conditions! Happens like that every session. And, how many times does one have to respond to the old “cold enough for you” question? Choice Bank, a division of Choice Financial Group, announced today that it is adding another people first partnership with the sponsorship of LPGA Tour Member, Kim Kaufman. She joins Minnesota wide receiver, Adam Thielen, as a Choice Bank partner in community engagement. American Bank Center is proud to announce the celebration Jan. 14-17 for the grand opening of its newest location, in northwest Bismarck. The official ribbon cutting took place at 3 p.m. on Jan. 17. The new building is located at 1615 Burnt Boat Dr. next to the Eckroth Plaza. American encouraged the community to explore the new building and register for prizes during the event. All were welcome and had a chance to win more than $2,000 worth of prizes. Packages included airline tickets, a Larks gift basket including game tickets and a tailgating basket. Choice Bank was recently awarded the Director’s Award by the U.S. Small Business Administration for being a top SBA lender in North Dakota throughout 2018 (SBA Fiscal Year October 1, 2017 – September 30, 2018). The Director’s Award is given each year to recognize institutions that help small businesses succeed through SBA financing. This year Choice was responsible for 15 of the 169 7(a) SBA loans that were guaranteed in North Dakota, totaling $3.4 million. Throughout 2018, Choice has been making great efforts to help small businesses takeoff and expand their operations. A big enhancement in their efforts came in September, when they secured Preferred Lender Status with the SBA. To earn Preferred Lender Status, Choice had to demonstrate a thorough understanding of SBA lending policies as well as a successful track record of servicing SBA guaranteed loans. Choice Bank, through the Choice Insurance division, proudly announces the expansion of its insurance team and services at its banking location located at 207 E Front Avenue, Bismarck, ND. Dan Werner joins Choice as an insurance advisor with 25 years of experience in commercial insurance. Werner’s expertise covers a number of industry groups including oil and gas, construction, transportation, technology and more. As a community bank, Starion Bank is committed to helping its neighbors in times of trouble and one way the bank can do that is by deferring consumer loan payments for federal employees. Recognizing that the partial government shutdown may be impacting people’s ability to make loan payments, Starion Bank is allowing payments on existing consumer loans to be deferred for the first quarter of 2019. First International Insurance announced January 2, 2019 the acquisition of Moorhead, MN insurance agency, Johnson & Johnson Insurance. Western State Bank will open a new full-service bank in Mesa, AZ, during the first quarter of 2019. The Mesa bank will be Western’s sixth Arizona location in addition to its three banks in North Dakota. The bank will be located at 5901 E McKellips Road in the Falcon View Plaza, a major Mesa retail shopping area near major highways including Loop 101, Loop 202 and US Highway 60. Red Door would like to give a warm shout out to Angie Olson at Independent Community Bank Services, Inc. for the donation of a debit card transaction machine. At Red Door, we work on teaching life skills to our adolescent population. This machine will allow teens to practice the use of debit and credit cards before performing this skill in real life. 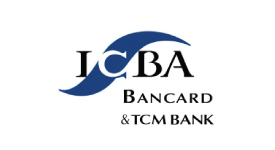 We are so proud of our community and businesses like Independent Community Bank Services. Our kids are lucky to live here! I hope this message finds you all enjoying a happy and prosperous 2019. It’s January of an odd-numbered year, so we are hunkering in to the 66th Assembly of the North Dakota Legislature. As I write this, we are in the third full week of the session. Nearly 950 bills have been introduced so far. ICBND is tracking about 75 bills that could have varying degrees of effect to community banking. Obviously, the higher priority bills get more attention. In my limited space here, I won’t wander too far into the weeds of the bills and the issues we’re following. 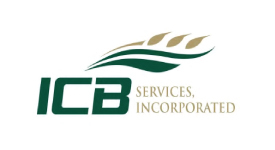 However, the ICBND Legislative Update is distributed and posted weekly for your reference. We’ve just completed the marketing materials for a Fintech educational session on April 15, 2019 which will be sponsored by our newest endorsed member, Dakota Carrier Network. The session will also be held at their beautiful facility in Bismarck. Our keynote presenter will be Kevin Tweddle who is ICBA’s Chief Innovation Officer. We’re excited to offer this timely session and hope to see you there.